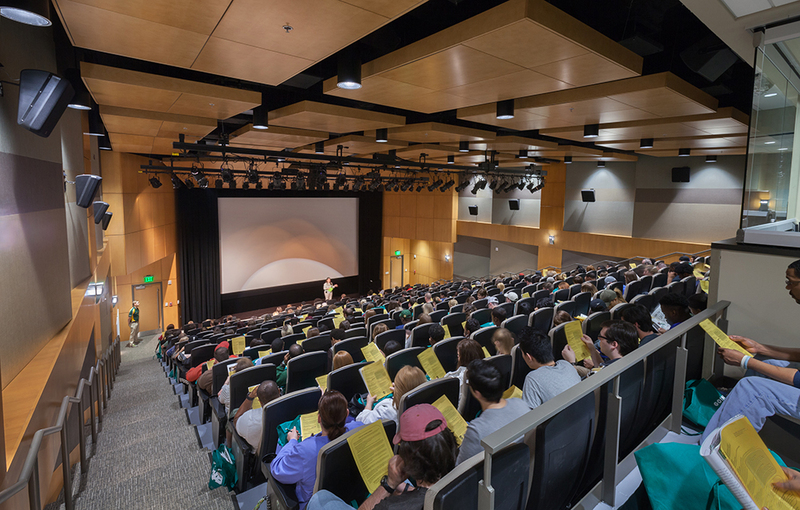 The 1980s-era Hill University Center at the University of Alabama at Birmingham (UAB) had become an outdated facility that was not adequately supporting the growing student population and their changing needs. 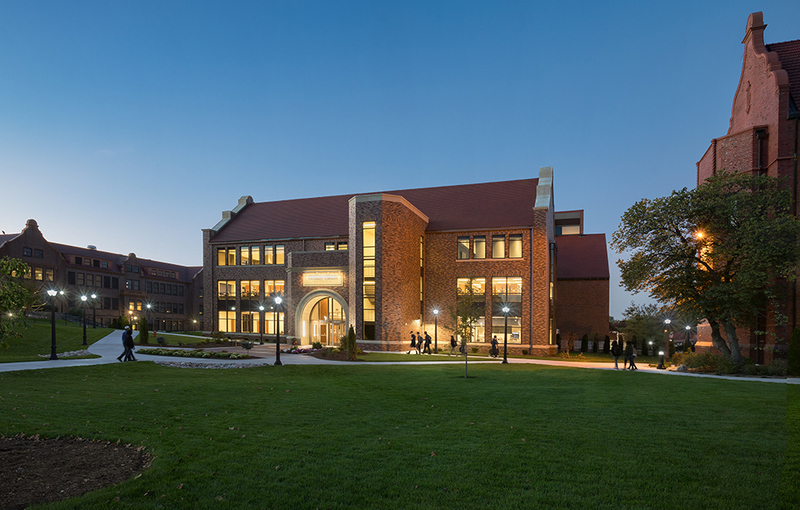 University administrators chose Hastings+Chivetta in association with Herrington Architects to design a new student center to replace the existing building. 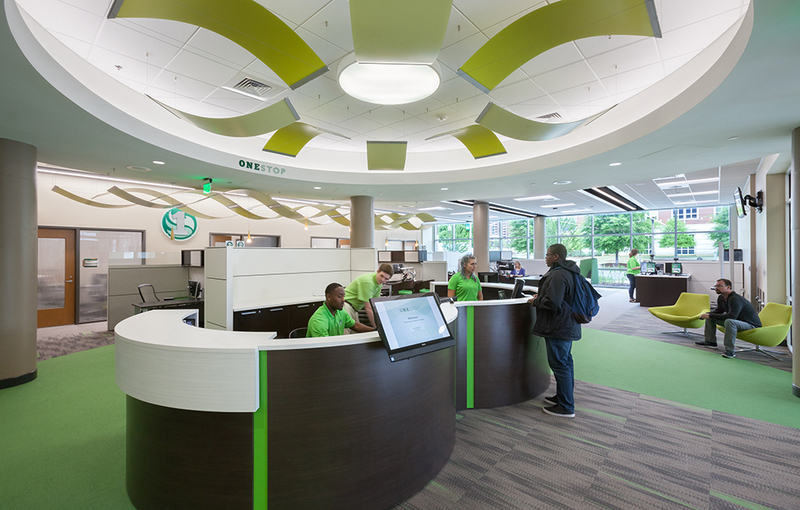 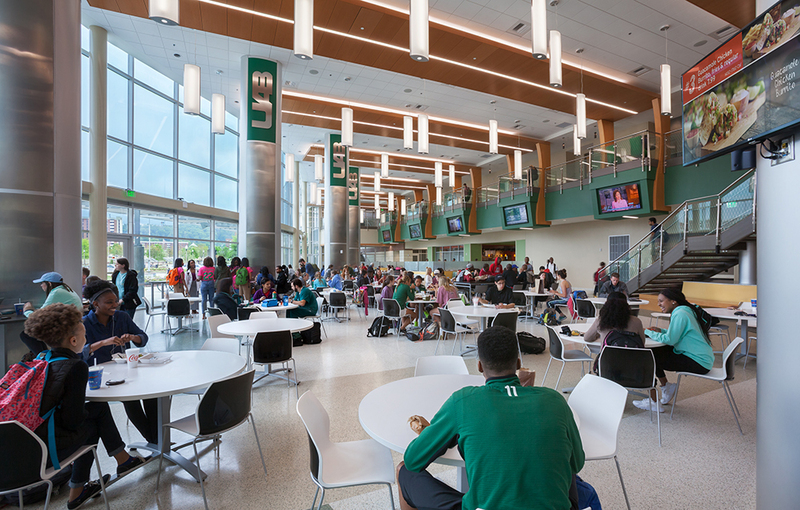 Located in the core academic campus just north of the large Campus Green, the new student center has played a pivotal role in forging a more collaborative and connected student community. 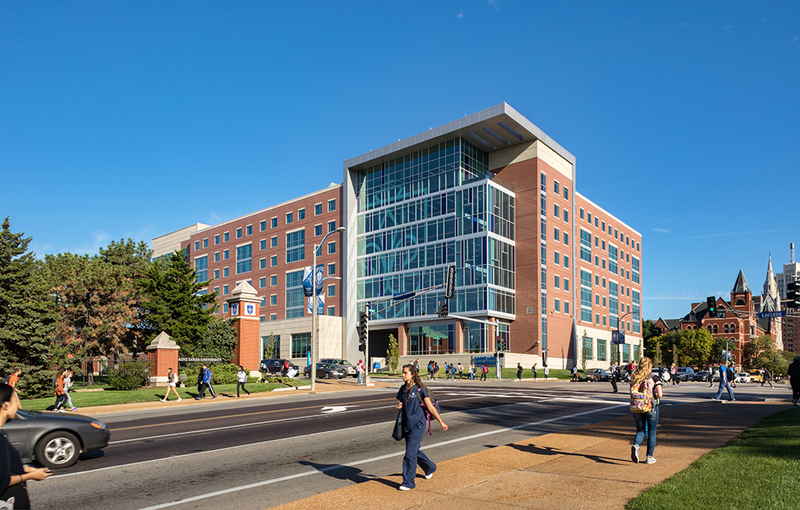 The new building welcomes visitors to campus, attracts new students, provides the “place” for students and provides the essential daily services of student life. 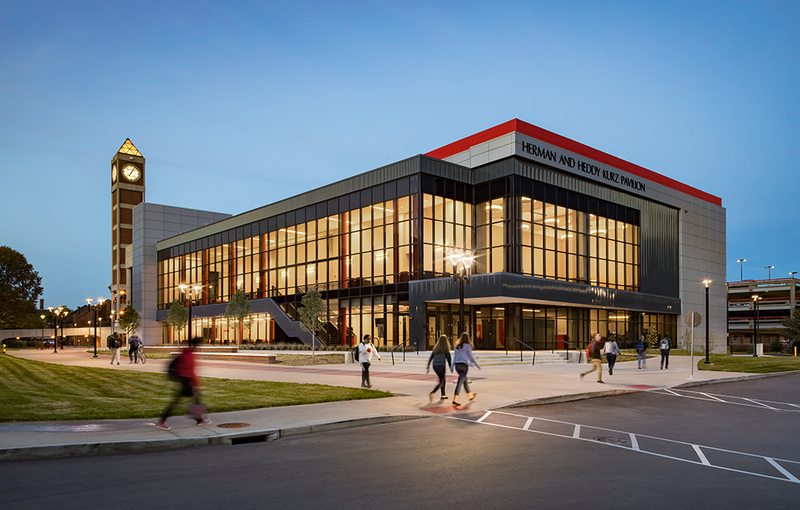 The new building design is organized around a large student-focused community space that is intended to promote unplanned interaction between students, faculty and staff, and form the heart of the campus community. 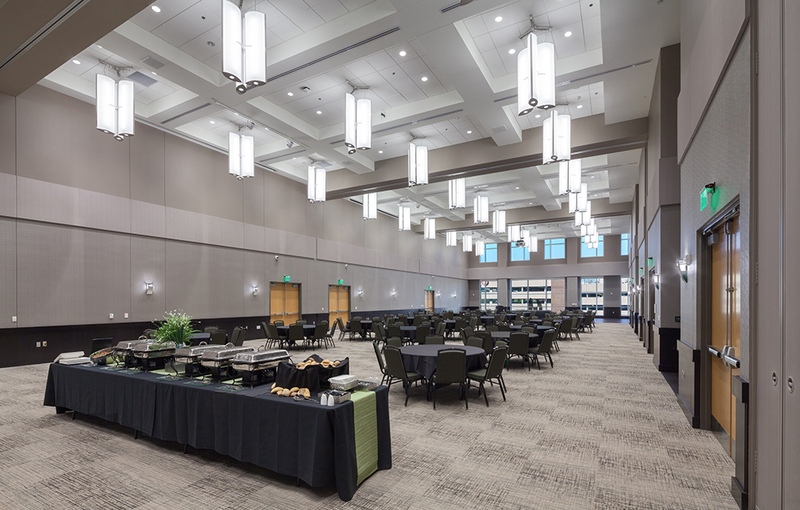 Bathed in natural light, this central community space forms the backdrop for organized events, impromptu performances and gatherings, as well as daily dining and social activities. 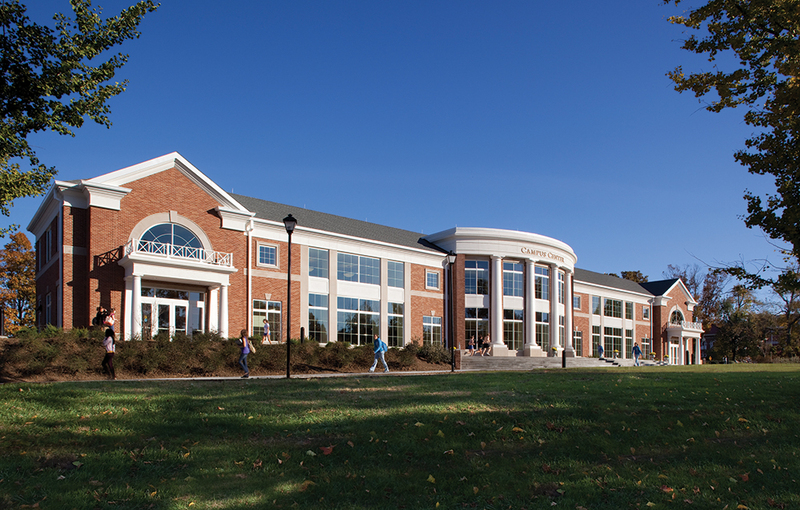 The building shape also creates a large exterior space for students. 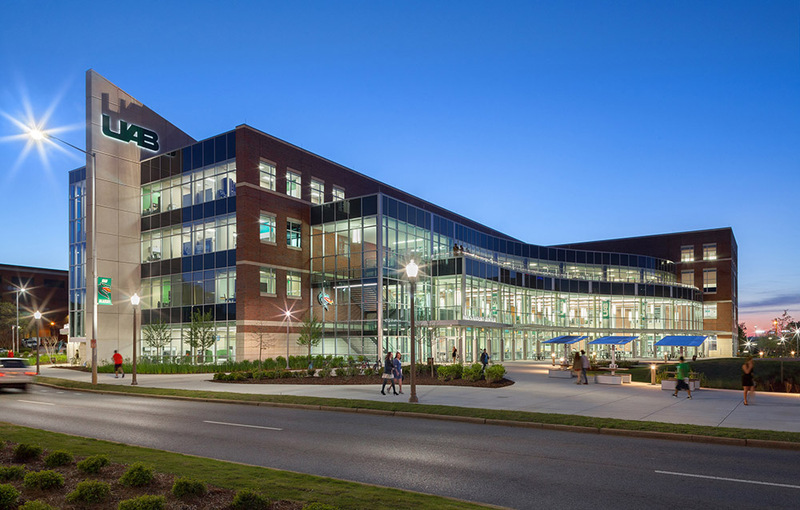 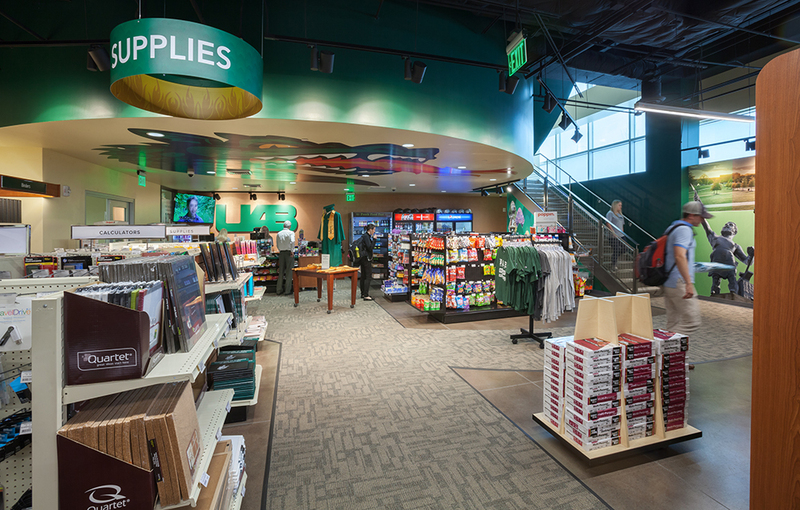 Indoor and outdoor activities come together and relate to the UAB Campus Green, the Campus Recreation Center, Heritage Hall and University Boulevard. 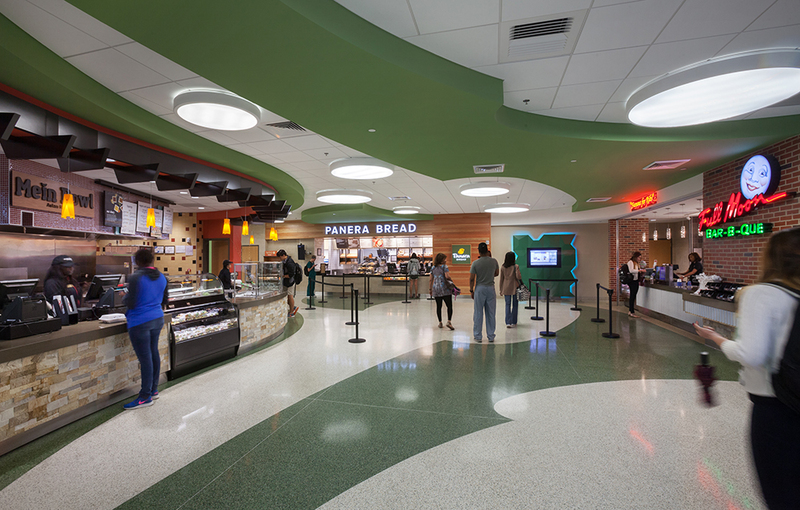 Key functions in the four-story student center include extensive seating and lounge spaces, the two-story bookstore, dining, the One Stop Student Services Center, Student Publications & Media, Student Organizations, welcome center, multipurpose areas and a large theater, as well as administrative space for the Office of Career and Professional Development, Disability Services and the Transfer Center.